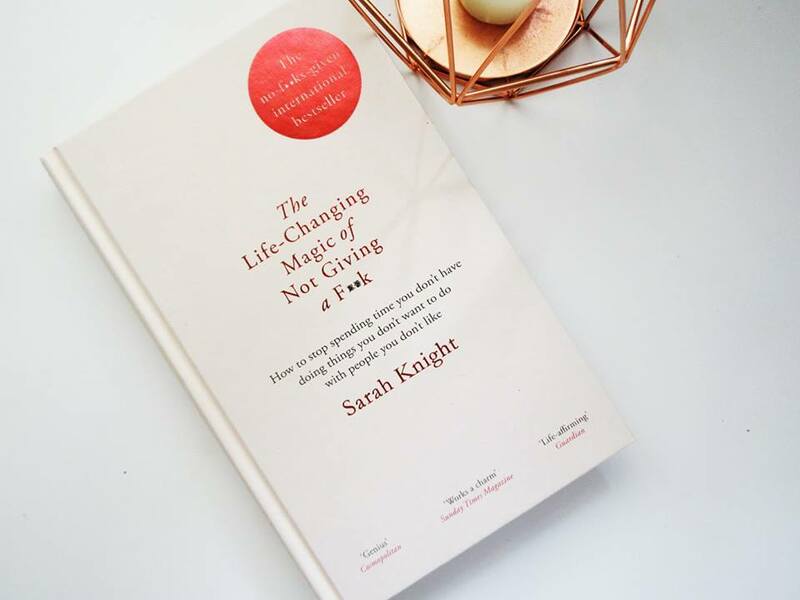 I couldn't do Blogmas without sharing a book review and my current favourite book which will never be leaving my bookshelf is Sarah Knight's "The life changing magic of not giving a f**k". Throughout the past few months I desperately needed some insight into self help and how I could improve my thought process and outlook on everything. That's when I came across Sarah Knight's book on Amazon when I was having a little search. I have never loved a book so much in my life; I took this to Luke's house and I didn't put it down until I finished it, when I only planned on reading one chapter. It had me hooked! Sarah Knight has the most incredible attitude to life. She knows exactly how to get through life without giving a crap about anything apart from what means the most to her and what brings her joy; how everyone should live to be completely honest. However, this book made me realise that actually, once she didn't feel like that; and she felt a similar way to how I do most of the time, but she managed to come out of it and completely change her outlook on life. And that's exactly what I need and want to do. Sarah takes you through chapters of how and why you shouldn't give a crap about certain things in your life. She provides you with the reality that actually it's completely okay to say no, you don't want to do something and it doesn't matter what the outcome is. Not only does she help with realisation, but she also continues to suggest to throw out what you do not need in your life. If it's negative, throw it out. If it doesn't bring you joy, throw it out. If you need a little bit of self help in your life, I highly recommend checking out this book.